Yesterday I met up with my Dessert Day partner in crime Kirsti AND a very special guest Kat! Kirsti and Kat were already in real life friends, but I had only communicated with Kat via twitter and blog - so it was absolutely delightful to get to meet her in the flesh! We decided to make cinnamon rolls and a take on a Swiss Roll cake. We struggled to find a gluten free recipe for cinnamon rolls that didn't have weird ingredients like instant pudding. In the end, we just adapted The Pioneer Woman's recipe to be gluten free. We also used way less butter when rolling the dough up into its spiral shape and far less icing then was called for. Like most times when Kirsti and I attempt gluten free dough of the yeasted variety, there was no rise or at least very very little rise. Uncooked and waiting to meet their oven-y fate. While they were still warm Kirsti expertly drizzled the icing over the top. These were everything my childhood fantasy of cinnamon rolls thought they'd be. See, growing my mom was kind of a health freak (she'd toned down, according to my brothers, by the time I was born, but there are tales of Carob cakes. Ew). But by the time she had relaxed into parenting her third child we'd an enjoy the odd sugar-y item now and again (we ate ice cream every weekend), but there was no icing on our cinnamon rolls. So these made my heart sing. For our next adventure we attempted (and succeeded, I'd say) Smitten Kitchen's Heavenly Chocolate Cake Roll. We followed this recipe exactly because it is NATURALLY gluten free. Such a win. It was pretty delicious. The hardest part about this was actually unrolling it once it was cooled and then re rolling once the cream was added. But it was really yummy, and surprisingly light considering all the cream! I highly recommend you make one immediately. I feel like it kind of looks like some magical wooden branch - I'm not really sure why. OMG cinnamon rolls are my weakness which is why i stay away from them!! how you don't devour these when they come out of the oven is beyond me! Oh my goodness I am SO wanting this!! Oh yummy, cinnamon rolls are so delicious! I need to try to make some vegan ones! Ooo the cinnamon rolls! I really want one now, so delicious. *drool* Such dessert envy right now it's not even funny. These look SO good! I've gone gluten-free recently, and it's amazing how many delicious recipes there are. Most people would scoff and say gf meals a re boring, but no way! Oh my gosh! Those look awesome! Yum! Oh yum yum! This post is making my mouth water! 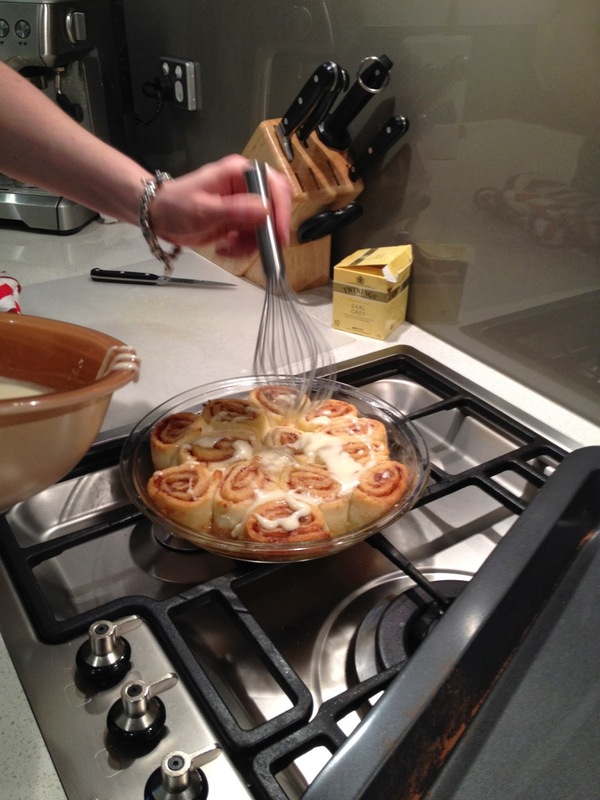 I've never ever made homemade cinnamon rolls but I can just imagine that they are heavenly.